Elko, NV – June 13, 2018 – Lithium Corporation [OTCQB:LTUM] “the Company” is pleased to announce that the San Emidio lithium-in-brine prospect in Washoe County Nevada is once again 100% held by the Company. The Optionee under the May 2, 2016 option agreement relating to the property has failed to fulfill all of its obligations under the agreement, and so the property has reverted to Lithium Corporation. The Company staked this property in 2010 after preliminary investigations, and through geophysical, geochemical and geological work that was followed by two phases of shallow drilling in 2012, we outlined a subsurface lithium-in-brine anomaly that is approximately 3 miles (5 kilometers) long, and 0.6 miles (1 kilometer) wide. The deepest hole drilled to date here was 160 feet (48.76 meters), and the shallowest hole that produced anomalous lithium was 90 feet (27.43 meters). The peak value seen within the anomaly is 23.7 mg/l lithium, which is 10 to 20 times background levels seen at these moderate depths outside the anomaly. It is believed that higher grade lithium-in-brine mineralization may be found at greater depths here. 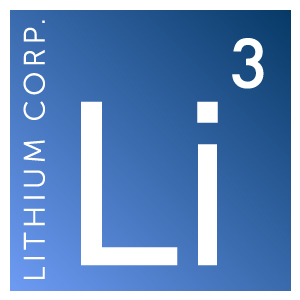 Lithium Corporation is currently assessing recent developments here, and on third party lithium prospects in the area, and will shortly determine what the course of action will be with respect to moving this prospect towards development.